STOP CHASING AND LIVING LIES. I have been lost in a fantasy land for the majority of my life. I know this now but I never realized it growing up. Or maybe I did. As far back as I can remember I always wanted to be someone else. Anyone else. I never was able to accept myself for who I was. I never was able to love the person that was in my skin. I was embarrassed by my life, my family and my circumstances. Ever since I can remember I dreamed of being you or him or them. As a direct result of this I began to re-invent myself. I began to pretend to be anything other than my true self. I created false personas, alter egos and I even had a twin. A brother who only existed in my fantasy world brought to life by my sick and twisted need to be noticed, loved , liked and down with anyone who would accept me. For years I created and recreated false images, attitudes and behaviors. I lied so much about myself and for so long that I began to believe my own fantasy was real. I took on the role of the many different characters that I created. I took different things from each one and created a monster. A monster who only wanted to be a part of something that he thought he was missing. A monster who thought everyone else had a better life, not realizing that my life hadn’t been that bad. My life was actually pretty damn good. But in my mind it wasn’t good. In my mind I didn’t have any of the things I needed. Its that same mind that I followed again and again down that same path. The path that led me to low self-esteem and low self worth. 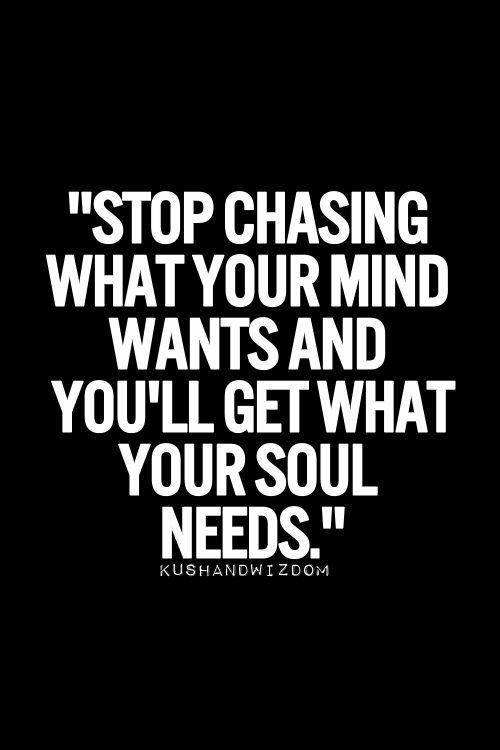 Chasing something that was created in my mind and never allowing my self to grow spiritually, physically or even mentally. I spent the so much of my life chasing a dream that my life just passed me by. I missed out on the many blessings because I thought I should have been better off or at a certain point by a certain age. I wasted decade after decade complaining about the things I didn’t have and should have had, what I wasn’t and should have been that I missed out on the blessings that I did have. The things that I did do. I missed out on the beauty of life because I believed the lies my mind told me. I AM SO GRATEFUL THAT I AM ALLOWING MY SPIRIT TO BE FED AND MY SOUL IN TURN IS BEING NOURISHED. NO LONGER LIVING IN THE DARKNESS OF THE LIES MY MIND TELLS ME. Wow, that’s part of my story. Thank you for sharing it with me. Word. Great piece. You’re welcome. Thank you for taking the time to read my blog. I truly appreciate it.